Puro Sound Labs' PuroCalm hearing protection will be offered in over 150 major sporting and theatre venues in KultureCity’s Sensory Inclusion bags; KultureCity is a national organization that provides sensory-inclusive spaces and universal accessibility for people with disabilities and promoted autism awareness and acceptance. Puro Sound’s history of sensory relief through volume limited headphones brought caught the attention of KultureCit and Puro and KultureCity partnered up to help bring awareness to sensory sensitivity, and provide an alternative that will benefit a larger audience while also promoting hearing health. Sensory sensitivity can interfere with an individual’s ability to appreciate loud public entertainment venues or events, which in turn increases the individual’s social isolation. 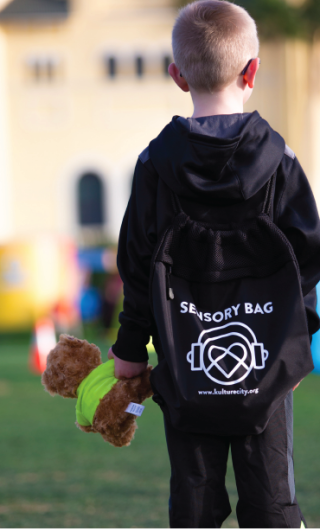 A pilot study showed that improved attention to these sensitivities, the creation of quiet zones and provision of “sensory bags” with products like Puro Sound’s PuroCalm Earmuffs, improved an individual’s overall interaction and quality of experience. The PuroCalm sound-isolating earmuffs are tailored to provide 27dB of safe, comfortable, broad-spectrum noise reduction to protect from harmful noises in loud or disruptive environments, or where limiting distraction is needed. Especially designed and sized for children ages 1 to 92 years old, PuroCalm earmuffs feature heavily padded, rotatable, and foldable ear pads that offer travel convenience and added comfort. PuroCalm earmuffs, which have a list price of $29.99 are for sale nowat Amazon.com and PuroSound.com. They are available in pink and green. For every pair that Puro Sound sells, an additional pair will be donated to KultureCity.